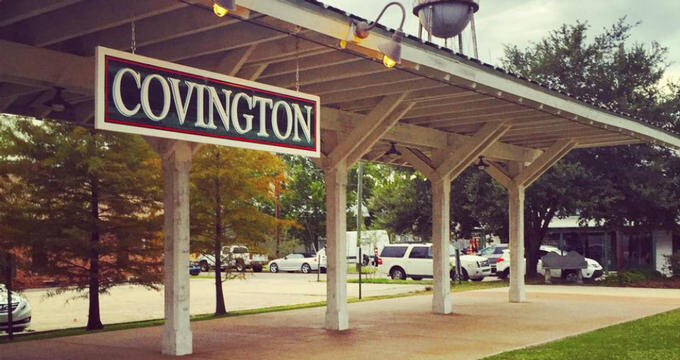 Covington, Louisiana is a small, quaint town that is part of the greater New Orleans metropolitan area. Covington boasts a great food scene, quirky and unique shops, and a rich culture. It’s a beautiful town to visit, and makes for a fun day trip for anyone visiting New Orleans. Among the many things to do are breweries, art galleries, museum, hiking trails, bike rentals, and more. There is even a gator ranch for people to visit. 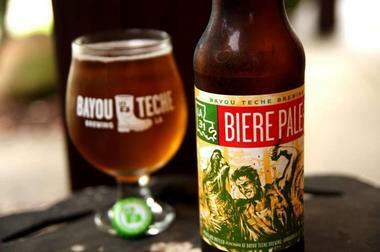 The Abita Brewing Company is situated within the piney woods of Covington, about thirty miles to the north from New Orleans. The brewery produces over 151,000 barrels of beers in its state-of-the-art brewing facility, as well as more than 9,000 barrels of root beer. Ales and lagers are brewed in only small batches. Guided tours of the facility are offered, with each tour lasting around thirty minutes and including a tasting of some of Abita’s brews. Guests can learn about the brewing process, the company’s history, and the beer. There is also a Craft Soda Tour and self-guided tours. Abita Roasting Co. Covington is the combination of a great coffee company, the Abita Roasting Company, and an excellent cafe, Abita Springs Cafe. The result is a cafe that boasts quite a diverse menu and the freshest artisan coffee around. The full-service cafe and coffee shop features a menu that is inspired by the Abita Springs Cafe. Since 2006, Abita Roasting Co. has sourced, roasted, and prepared incredible coffee from all over the world. 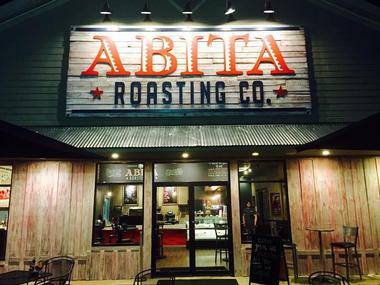 The counter, cafe, and drive thru at Abita Roasting Co. Covington all have slightly different hours of operation during the week, with hours posted on their website. Since the shop first opened in the Covington community in 2010, Brooks' Bike Shop has provided visitors and locals alike with bicycle services. The goal of the bike shop is to offer both a tremendous value and excellent customer experience for all customers. Brooks’ Bike Shop is a veteran-owned small business that has a passion for all kinds of bicycles. The shop offers bicycle sales, bicycle rentals, and bicycle services. Tours, as well as parties, are offered of Covington and the surrounding area, including tours that visit local breweries, the historic downtown area, and the Bogue Falaya River. The original Cafe Du Monde started out as a coffee stand that was founded back in the year 1862 inside of the French Market in New Orleans. The Cafe Du Monde in Covington, Louisiana, while not open twenty-four hours a day like the original, still maintains fairly long hours during the day. The cafe is open Sunday through Thursday from 6:00am until 10:00pm and on Friday and Saturday from 6:00am until midnight. A drive thru is also available at the Covington location of Cafe Du Monde. The menu includes dark roasted coffee, fresh squeezed orange juice, and beignets. 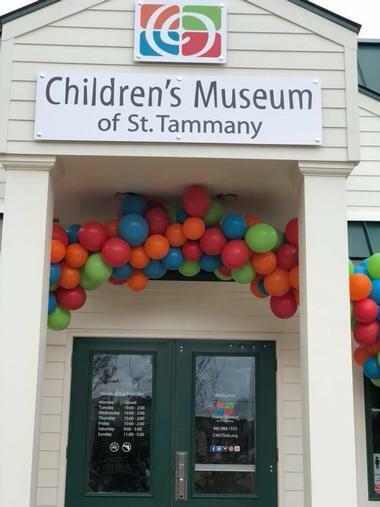 The mission of the Children’s Museum of St. Tammany is to inspire children to create, explore, and imagine within an interactive and fun learning environment. Kids Town at the children’s museum is designed for the smallest visitors. The museum features various exhibits for learning that are primarily geared towards children from toddler age to early childhood, but also offers special programs for older kids. Children can have hands-on fun at the diner exhibit and the supermarket. Other exhibits include a magnetic ball wall, a climbing wall, and a fun exhibit where children can see what it’s like to construct their own roller coaster. Visitors and local alike can stop in the Columbia Street Tap Room and Grill for some of the best food, best local music, and a broad array of beers that range from local brews to more exotic ones. The Columbia Street Tap Room offers thirty different beers on tap, around sixty bottled beers, premium wines visitors can get by the glass, and a full-service bar. This is in addition to a food menu that features a variety of salads, burgers, sandwiches, and daily specials. Live music performances happen on Thursdays, Fridays, and Saturdays in the tap room. The Covington Brewhouse is located in the heart of the quaint town of Covington in Louisiana. The brewhouse is situated inside of the former building of Alexius Bros. Hardware, which also once used to be a gymnasium, as well as a warehouse for cotton processing. Visitors can grab a pint in the Tasting Room or learn how the beers produced by Covington Brewhouse go from grain to bottle during a tour of the brewery. Brewery Tours are free and take place on Saturdays at both 11:30am and at 12:30pm. Pints and flights are offered in the Tasting Room. The Covington Trailhead signifies the start of the Tammany Trace trail that runs through the area. The paved trail is approximately thirty-one miles long and connects the towns of Covington, Slidell, Lacombe, Mandeville, and Abita Springs. The trailhead is just a short walk away from the restaurants and shops in the downtown area of Covington. The site looks a bit like an old railroad station and features a clock tower, grassy area, an amphitheater, restrooms, a covered marketplace, visitor’s center that includes a museum, and more. A farmers market takes place at the Covington Trailhead on Wednesdays. The Fairview-Riverside State Park boasts several picnic tables that are scattered throughout the grounds, shaded by a canopy of massive oak trees. There are also comfort stations, a playground for children, and a pavilion for groups. Visitors can spend the afternoon relaxing by the river or head out into the water for more outdoor recreational activities. The nature trails that runs through the Fairview-Riverside State Park takes guests along the river for some great views. There is also an on-site campground for those who want to stay in the park overnight. Fishing from the river or boats is a popular activity. The H.J.Smith & Sons General Store is a family-owned and operated business that has been around in the town of Covington, Louisiana since the year 1876. The General Store is now a museum that contains several hundred various items that date back from 1870 up to the beginning of the 1900’s. Among the items visitors can see in the museum are a cypress dugout boat that measure twenty feet long, historic farming tools, a cast iron casket, a wooden hand-operated washing machine, a gas pump from the 1920’s, and more. H.J. Smith & Sons is open Monday through Saturday. The Insta Gator Ranch lets visitors view alligators in the crystal clear water within a climate-controlled environment. Insta Gator Ranch is a working ranch for alligators, and is actually home to over two thousand gators. The guided tours at the ranch offer visitors a rare, first-hand experience with the Louisiana Alligator Industry. The Insta Gator Ranch is open throughout the entire year, rain or shine. There are a few different experiences that guests can choose from, such as The History of the American Alligator, The Alligator Ranching Program, Tour through the Temperature Controlled Barns, and The Anatomy of the American Alligator. The Movie Tavern in Covington in the state of Louisiana is a movie cinema that is a combination of a typical movie theater and restaurant that creates a new and delicious way to enjoy a movie on the big screen. The Movie Tavern is a place where people can get margaritas, meals, and movies all in one destination. The cinema is part of the revolution to change the way people experience cinema, drinking, and eating by providing an in-theater dining service. The menu is chef-driven and feature high quality drinks and food that can be enjoyed while sitting in luxurious seating. 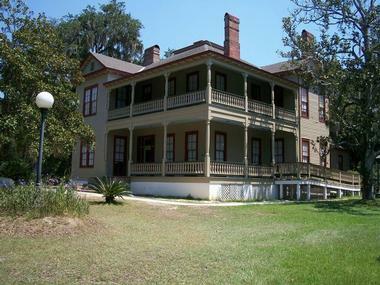 The Otis House is listed on the National Register of Historic Places and can be found on the grounds of the Fairview-Riverside State Park. 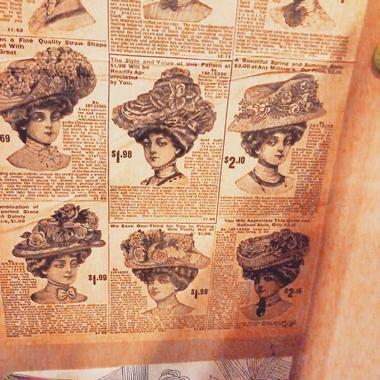 Visitors can take a guided tour of the historic house and take a look at a variety of artifacts on display that date back to the 1880’s up until the 1930’s. During the tour, guests will learn about the ties the home has with the city of Madisonville, as well as how it fits into the history of the state of Louisiana. The Otis House is open for guided tours during the week from Tuesday to Saturday. The St. Tammany Art Association was established in the year 1958 by a group of several civic-minded people wanting to bring art to the western St. Tammany Parish. The St. Tammany Art Association today has since grown into an arts organization with more than eight hundred members. The association serves as a catalyst in the Covington community for the arts, helping both established and emerging artists and providing exhibitions and arts education to the public. 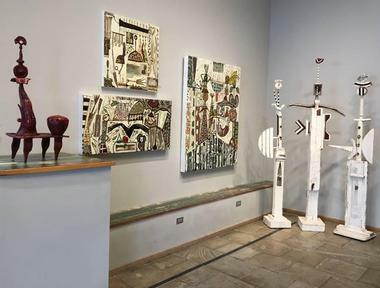 The main art gallery of the art association, the Miriam Barranger Gallery, exhibits a broad array of media and styles through changing exhibitions. The UCM Museum, also known as the Abita Mystery House, is a bit of a roadside attraction just outside of Covington, Louisiana in Abita Springs. The house museum is an environment of folk art, featuring homemade inventions and thousands of found objects on display. Visitors can view a miniature version of a southern town that has buttons to activate the animated “displays,” along with old arcade machines that can possibly be played, memorabilia, odd collections, and even some stuff that can be considered “pure junk.” Also at the museum is the House of Shards, and a one hundred-year-old Louisiana Creole cottage.